As a result of a childhood promise I made to legendary funnyman Slappy White, I periodically do my best to make you, our lovely, sun-kissed readers, aware of some very obscure cars. Today I want to focus on a really obscure one: the Starline Sab 25 XL. The Starline Sab 25 XL is gloriously confusing not just because of its strange proportions, but also because its name is strangely suggestive of at least two more famous cars it has absolutely nothing in common with. Starline sort of reminds people of a Skyline, and Sab sure sounds a lot like Saab. But the Sab 25 XL is absolutely none of those things. The Sab 25 XL is an Indian car made between 1980-1989, and was based on the Premier Padmini, which itself was a version of the Fiat 1100. The Padmini, along with the Hindustan Ambassador, were the most common cars in India for decades. Starline was something close to a coachbuilder, taking the Premier chassis and putting on new bodies to fill holes in the market. 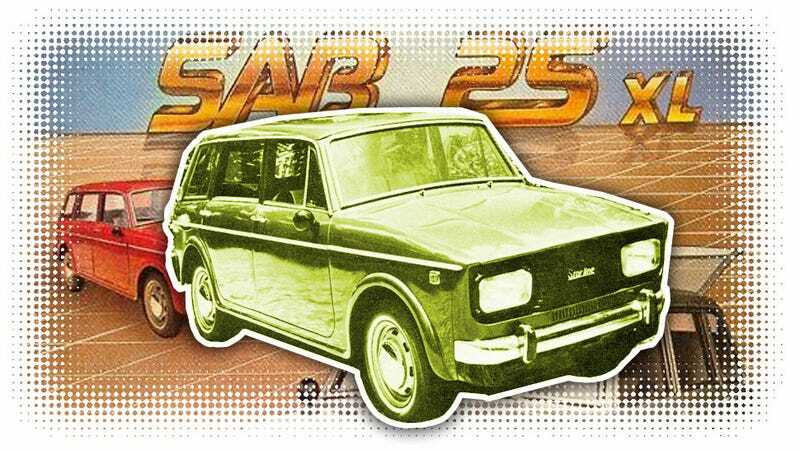 The Sab 25 XL was designed to be a more modern and upmarket car compared to the regular, more archaic-looking Padmini. The “25" in the name seems to come from the fact that the wheelbase was stretched 25cm to give the rear seat passengers that sense of intoxicating luxury that only an extra almost 10 decadent inches can give. Plus, if the raw luxurianium isn’t hitting you yet, listen to the versions of the Sab 25 you could get: Executive, Special, and Super Deluxe. All that deluxe was pulled around by an 1100cc 40 horsepower inline four, derived from the Fiat 1100. It was a nice little rear-drive wagon, and you could carry a decent 838 pounds of luxury items in there. I find the Sab 25 appealing not just because of the “what the hell is that” confusion it would cause anywhere you drove it outside of India, but because of its appealing homeliness. In the attempt to modernize the Padmini’s look, they used those large rectangular lights, which just make the whole car seem even more tall and narrow and strange. It’s a peculiar mix of both boring and puzzling, somehow managing to be both an incredibly normal-looking car and yet also an incredibly weird one, all at the same time. It’s sort of like how David Lynch can shoot some sleepy little town in such a way that its very normality all of a sudden becomes the creepiest thing imaginable. In words, it’s painfully mundane: a RWD inline-four squarish wagon from the 80s. But in reality, the Starline Sab 25 XL is a deeply weird car.